The 2014 surgical trip is underway – and what a welcome we have received. The women from the Lions Club were at the airport in force with warm smiles and hugs to greet us. Delia, Teresa and the whole gang were there. And when we arrived at the hospital on Sunday morning, it was clear that the word was out that the “blue people” were back. Last year it took until Wednesday for the word to spread and for walk-in patients to arrive to be screened in the hopes that they could have surgery. Not this year! Waiting patiently was a crowd of families whose kids were not on the schedule and who had been unable to be at the screening clinic in December. Dr. Albert screened at least 15 kids, and a large percentage of them were from last year. What a thrill to see that all the 4-month-old babies had turned into active toddlers with wonderful smiles! The parents were warm in their greetings and proud to show their children off. 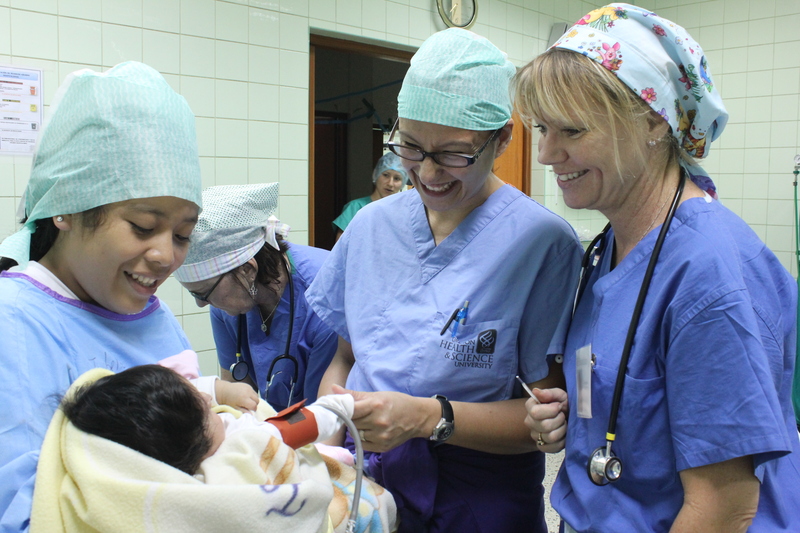 And I know from last year that the FACES doctors will do everything they can to work at least some of them into the schedule to repair their cleft palates, the second stage of cleft repairs. Seeing these courageous families who had travelled for hours in the hopes of being seen is the strongest argument that can be made for increasing our fundraising efforts to finance a second surgical trip each year. The need is so great and the outcome of these surgeries is so life changing. Turning them away will be heartbreaking. Previous Post Welcome Your 2014 Surgical Team!